You would have to agree that Western Australia’s Coral Coast is the most spectacular stretch of coastline. It certainly pulls the crowds during the cooler months and then ramps up again during school holidays. Finding a site to park your caravan without feeling like a sardine can seem impossible, but there is a solution — station stays. Besides offering cheaper accommodation options, different experiences, access to restricted areas, alternate activities and more freedom, station stays are also helping to keep struggling farming properties viable. With the effects of drought, the end of live exports, cyclones, fire, flood and bureaucratic meddling, many properties are struggling to keep afloat. By opening their properties to tourism, they’re adding a vital revenue stream and visitors will certainly get their money’s worth. You won’t find jumping pillows, swimming pools or Xbox games, but you will find a good old fashioned nature and the opportunity to make your own fun. Here are three properties that I checked out on a recent journey and heartily recommend. “Barista Coffee” the sign screamed at me. I hadn’t had a real coffee for more than a month and my caffeine withdrawals were causing my head to spin. But I wasn’t in Melbourne, I was at Bullara Station. 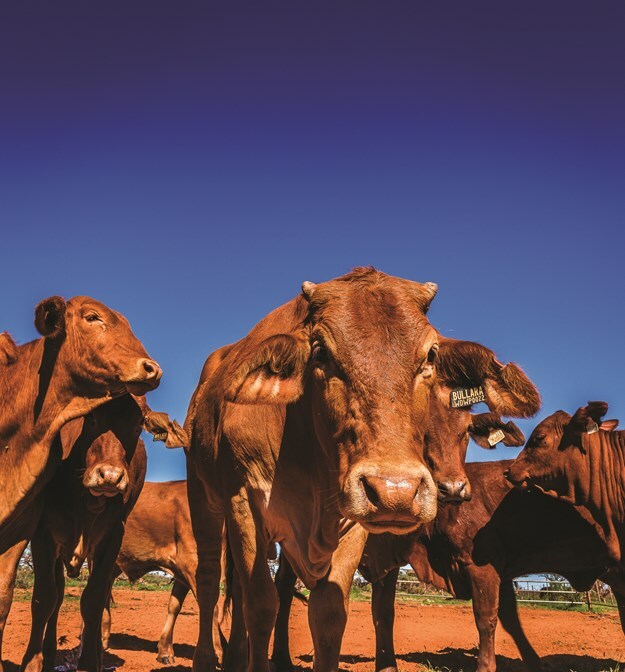 Situated nicely between Exmouth and Coral Bay, Bullara is a great spot to set up your caravan on a real working cattle station and explore the region. Access is via a two-wheel drive road that delivers you directly to the homestead. Here you are welcomed by Edwina or one of her friendly crew who will check you in and guide you to your campsite. Camping options include powered (30 sites) and unpowered sites, fire pits, clean amenities, a laundry, camp kitchen and Telstra mobile coverage. You won’t feel crushed in this expansive campground. Dogs are welcome, but with livestock and native animals close by, pets must always be on a leash. Alternate accommodation options include two fully self-contained cottages, the Shearer’s Lodge or king single rooms in the Outcamp. I stayed in one of these rooms and can attest to their comfort and convenience. The barista coffee is served daily between 8.30am and 4pm and during the peak season you can also enjoy freshly baked scones, jam and cream between 8.30am and noon each day while relaxing in the Homestead garden. Down at the camp kitchen, damper is cooked and served by John five days a week at 5pm. It is advisable to set up your chair early as it becomes a popular spot once everyone smells the fresh, baking goodness. The perfect place to watch a sunset is from the top of one of the burnt-orange sand dunes, with some nibblies and a cold beverage, or enjoy a chat with fellow travellers around the campfire. Now that you’re set up and relaxed, you are ready to explore the property and the region. There are a couple of walks that take you to some amazing places on the property; don’t forget your binoculars and camera to capture the wildflowers (when they're in season) and a multitude of birds that love the Bullara habitat. If fishing is in your blood, why not take a day trip out to the bottom of the Gulf of Exmouth (4WD only) or organise a charter from Exmouth (86km north). Alternatively jump on a Manta Ray cruise in nearby Coral Bay (65km south) or explore the snorkelling options in Cape Range National Park. 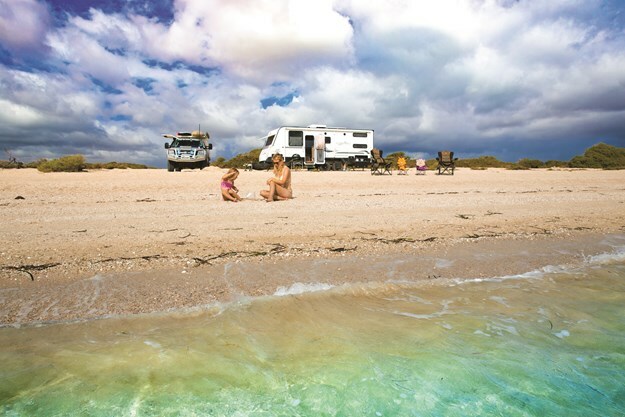 This family-run property offers Ningaloo Reef’s best eco-friendly wilderness beach camping. With several secluded beaches to choose from and rates that will blow you away, if beach camping is what you love, this is the place to stay. In fact, I recommended Warroora (pronounced Warra) to a young travelling family, and they ended up staying a month! 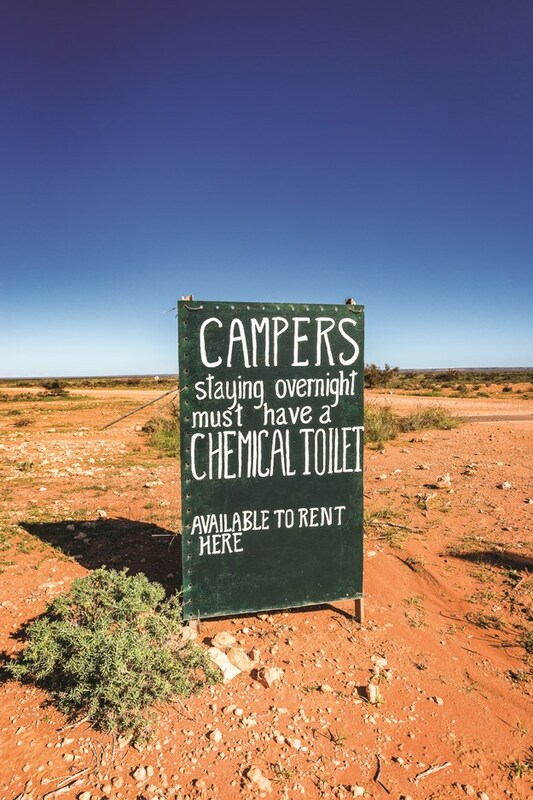 One requirement of camping along this pristine coastline is that chemical toilets are compulsory. However, if you don’t own one, you can hire one from the Homestead or at 14 Mile for $10 per day or $50 per week. There are disposal points on the property. It is preferred that you bring your own wood for campfires (permitted May to October) or you can buy it from the property. Two-wheel drive access for caravan, motorhome and bus camping is available at 14 Mile, where caretakers Lesley and Roscoe will show you where to camp. Otherwise, head to the small shop at the Homestead and check in with Harry. Camping fees can only be paid with cash as there are no internet or EFTPOS facilities on the property, although Telstra coverage can be attained at certain high points, particularly on top of 'Telstra Hill' near 14 Mile. Warroora has alternative accommodation to suit all options including an ocean view villa, the old homestead, a couple of cottages and the Shearers' Quarters. 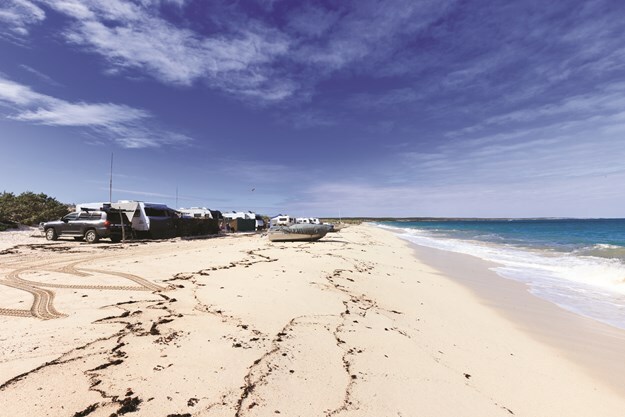 If you have a 4WD with an offroad caravan or camper, there are private beach camping options at Sandy Point, Steven Surf Break, Elle’s Beach, Black Moon Cliff and The Lagoon. Bookings are not taken for any campsites, only the accommodation. Unfortunately, due to previous issues with wild dogs attacking livestock, the property is baited with 1080 poison. However, dogs are welcome if they are always kept on a leash. Sunset gazing, fishing, snorkelling, surfing, kayaking, bush and beach walking are just some of the activities to keep you busy. And keep an eye out for passing humpback whales, dolphins, turtles, manta rays and whale sharks. I so enjoyed driving down the coastline and checking out all the campsites — it truly is an amazing place to chill. Located in the World Heritage Shark Bay area but still part of the Coral Coast is Tamala Station. 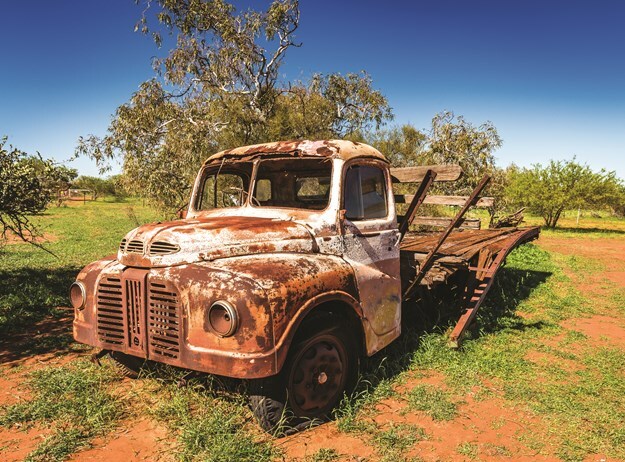 A working pastoral station since the late 1800s, Tamala is 130km south of Denham and 84km west of the Overlander Roadhouse, via the Useless Loop/Steep Point Road. Goats and sheep are current livestock on the property. The historical homestead, built in 1896, is where you check in with Teresa. You must do this first, as the gates to the campsites are locked and the key will be issued once you’ve checked in. Bookings are recommended; you might find the front gate locked if you’re not expected. The office is open for check-ins Monday to Saturday from 9am to 6pm and is closed on Sunday. The owners prefer that you contact them if you are arriving on a public holiday. If you want to check-out out of hours, organise it when checking in. The preferred method of payment is via direct deposit once you have made a reservation, otherwise cash is the only way to pay for a site. Pets are allowed on a lead as stock roams throughout the property. You’ll need to be fully self-sufficient as there are no facilities at the campgrounds, and also allow for fuel. Fires are permitted between 1 May through to the end of September but you must bring wood, or you can get a small supply free from the homestead. All fires must be contained in a BYO receptacle and all rubbish needs to be taken to the homestead for disposal or taken with you. You can also recycle your cans and glass at the homestead. There is limited Telstra mobile coverage in some camp areas. With amazing wildflower displays in season, a diverse range of wildlife, an array of different birds, plenty of fish and a focus on relaxing, Tamala Station is extremely popular with long-term campers. You can easily do day trips to Steep Point (4WD Only), Denham, Monkey Mia, Francois Peron National Park, Shell Beach and Hamelin Pool. Tamala Station is also linked to one of Australia’s oldest shipwrecks, the Dutch East India Company ship named Zuytdorp, which sank in 1712. The Zuytdorp was bearing a load of silver coins, many of which have been recovered over the years, both legally and not. It is thought that the shipwreck survivors may have joined the indigenous tribes who used to travel between their major encampments, Wale Well on Tamala Station and Billiecuthera Well to the south on Murchison House Station. With so many beachside camping options for all types of setups, the station's website is the best place to find information on which campsites will suit you best (see our Fast Facts column for all the details). If you are unsure, get in touch with Teresa, she is more than happy to help you out.